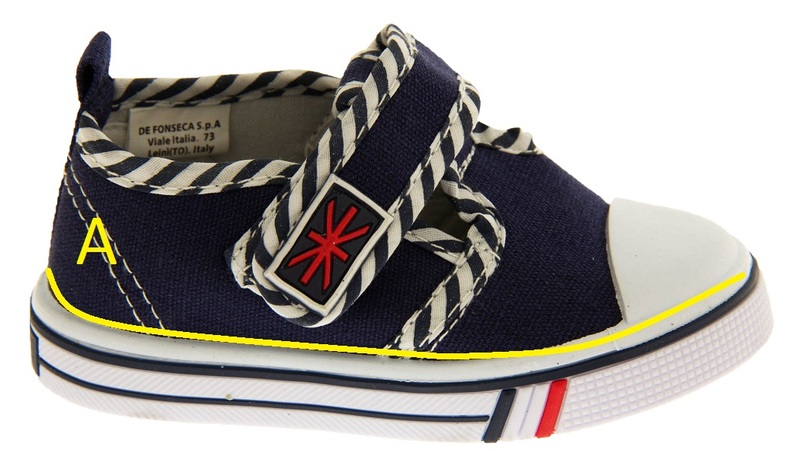 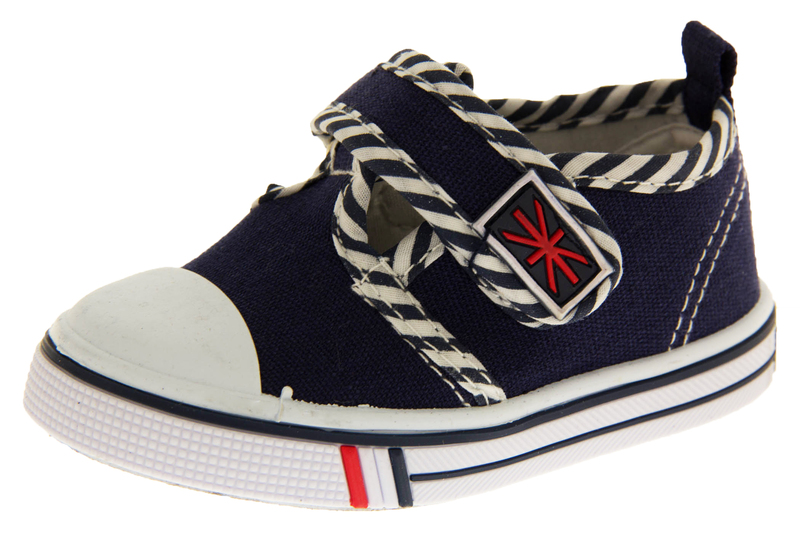 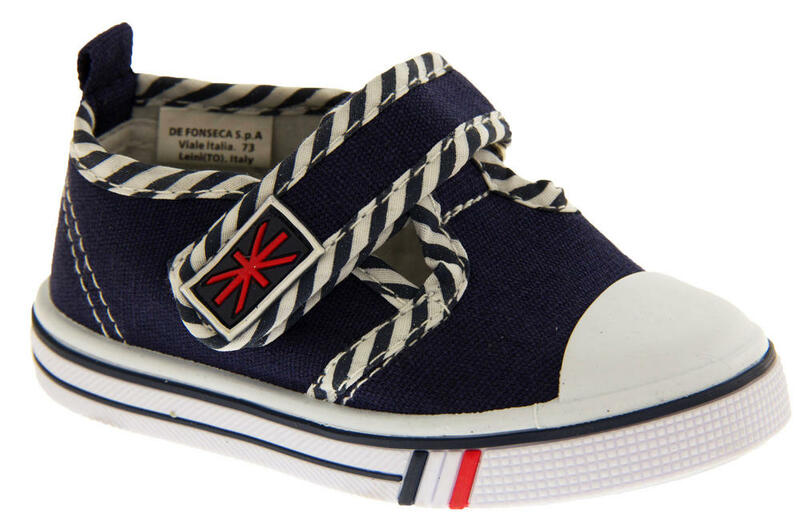 Every little boy and girl would love to have a pair of these casual summer sneakers from De Fonseca. 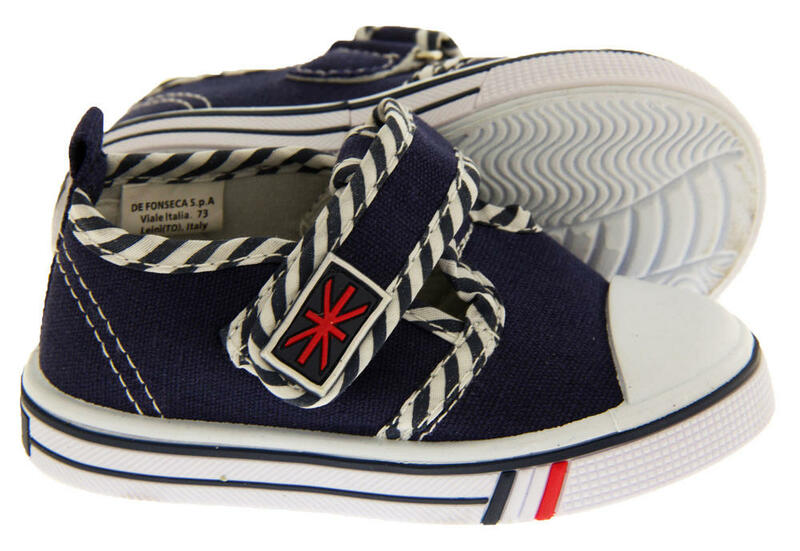 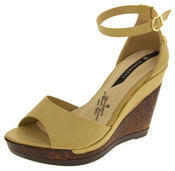 They have a breathable canvas upper, padded insoles for comfort, and a flexible non slip sole. 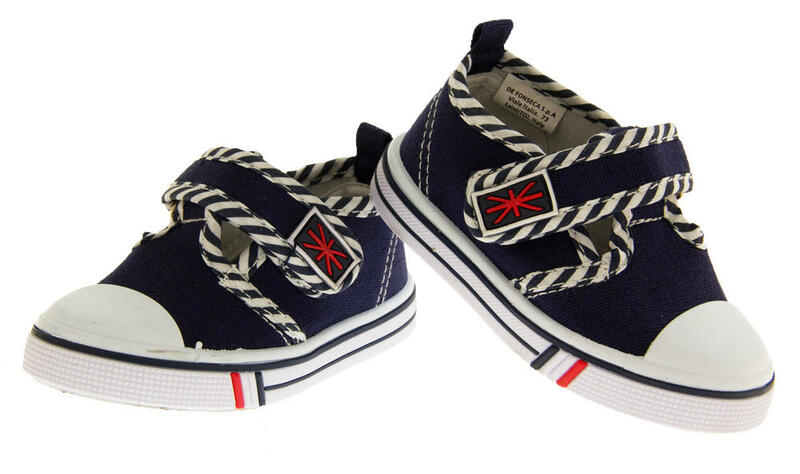 The easy to use Touch Fastening strap is ideal for little fingers to fasten. 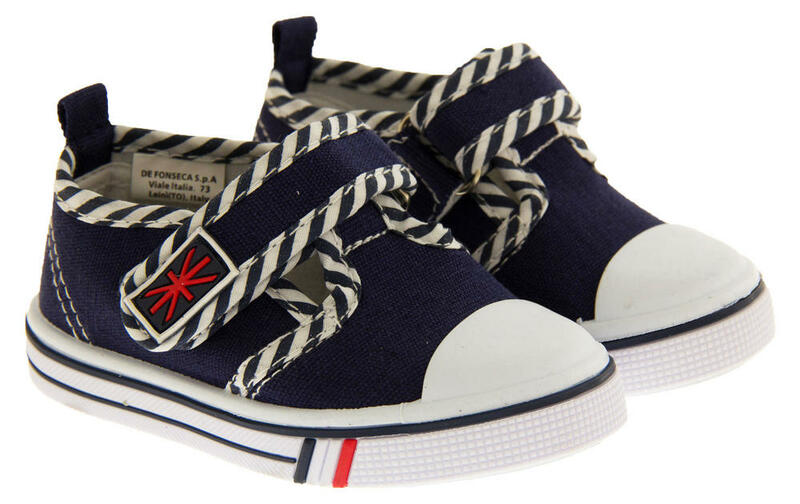 These De Fonseca Kids lightweight canvas pumps are ideal for the summer, wear them for playing in the garden, at the park or for taking on holidays.